This week was a big week for Kentucky, and I am not talking about the basketball win earlier in the week. I am talking about the fact that this week marks the 15th week of this little project, and Kentucky is the 15th state of the United States. Prior to becoming a state, Kentucky was a county of Virginia. After some petitioning by the residents, On June 1st 1792, Kentucky separated from Virginia to become its own state. When it comes to Kentucky, most people think bourbon, not beer, and for good reason. Bourbon is considered to have its origins in Kentucky. There is also the association of derby’s, elaborate hats and Mint juleps. While bourbon is probably the dominant drink of the state, beer has been brewed in the state almost since its founding, and this week we get to sample two different styles of beer from a Kentucky brewer. Located in Lexington, the second largest city in Kentucky, is the Alltech Lexington Brewing Company. Founded in 1794, The Lexington Brewing company was once the largest building in the city of Lexington, however it failed to navigate prohibition era successfully, and as a result lost its pre-prohibition era dominance. It appears that the company limped along in some form until 1999 (but I can’t find details), when the company was reestablished by Dr. Pearse Lyons, a man with a deep family relationship to the brewing and distilling industry. Since its rebirth, the Lexington Brewing Company has been working to produce a high quality product while maintaining its Kentucky roots. 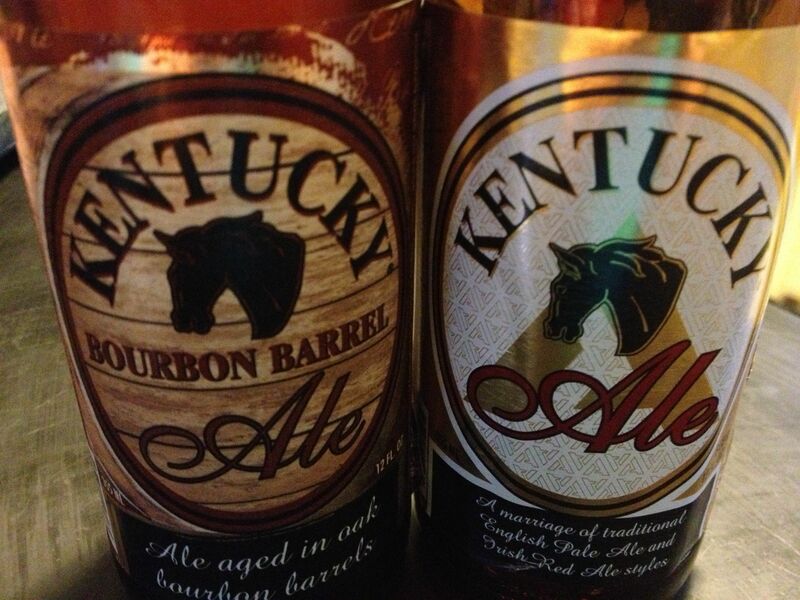 The first beer sampled from Kentucky was the Kentucky Ale, a marriage of an English Pale Ale and an Irish Red Ale. One thing I am learning about myself from this project is that I prefer beer styles that have stronger (but not too strong) characteristics. I like the hoppiness of an IPA, the smells that clearly stand out as soon as you pour it in the glass. Because of that, I have been struggling with ales. Not because they are not good, but because they are hard to describe. This ale looked great in the glass, but there was no distinct smell or flavor that I could latch onto in an attempt to help describe the beer to somebody. It was definitely better that anything you will see mass produced across the U.S., but why you should drop everything and find a bottle of this, I am not capable of providing that information. If you are a fan of some of the more well known Irish Reds that have been on the market for years now, you will probably love this beer as it does have more character than those. But as I continue on my quest to understand and appreciate the ale style, this beer has not helped me answer any questions quite yet. During my research on Kentucky, I stumbled upon a new set of terms and vocabulary pertaining to alcohol laws. We have previously mentioned encountering dry counties, but Kentucky takes it to another level. According to this wikipedia page, there are 7 different classifications of a county’s alcohol law status. This is quite detailed for a state that prides itself on being the largest producer of bourbon in the world. In fact they claim to produce 98% of the bourbon in the world, and linking that strong bourbon heritage to beer, the next beer we sampled from Kentucky was a Bourbon Barrel Ale. 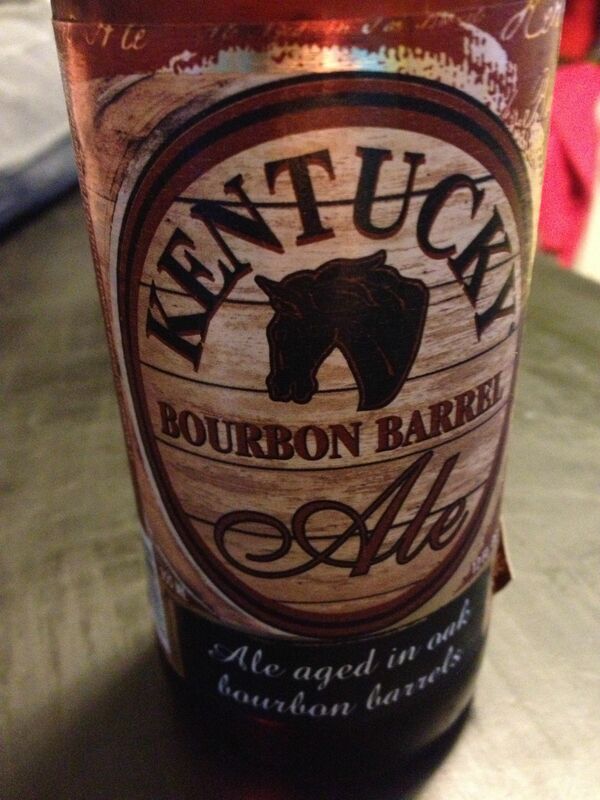 Considered their flagship beer, the Kentucky Bourbon Barrel Ale, is aged for six weeks in the freshly decanted bourbon barrels, and that is clear right from the opening of the bottle. The first impression you get is bourbon, and it is amazing how the beer picks up the smell and flavor of the bourbon from the barrels. If you are a fan of bourbon, you should try this beer, as it was probably the best bourbon beer I have tried on this project. But I would classify this as a sipping beer, not something you would take to a Super Bowl party. The benchmark of late for this blog has been the fire pit beer. What beer could you enjoy more than one of while sitting around a fire pit. This beer would be hard to have on my fire pit list. Instead, this is a beer that I would enjoy with a nice meal. Or since I am not a big fan of straight bourbon, I might have this on hand for myself when hanging out with friends that do like their bourbon, straight. That concludes this week, next week, we move into Tennessee.